A recent study linked obesity and fitness levels with systemic inflammation in the body. 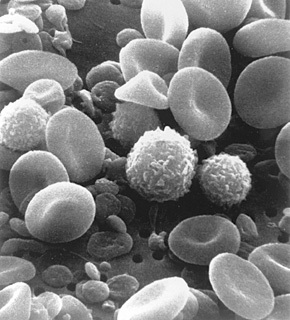 The study looked at increases in certain types of white blood cells that are linked to inflammation in the body. It is known that this type of systemic inflammation in the body plays a significant role in heart disease, cancer, fibromyalgia, and other chronic conditions. The researchers measured the number of white blood cells, fitness levels, and fatness of over 450 non-smoking men. They concluded that the healthier, more fit, and less fat the men were, the more normal their levels of white blood cells. The higher these levels were, the higher the white blood cells which indicates some kind of chronic infection. Although there are risk factors that some people can’t modify for these chronic conditions; fitness and fatness are two that you definitely can modify. Running goes a long way in preventing both of these factors, especially if done on a consistent basis. As you gear up for the Holidays, grab a partner and start hitting the streets again. Not only will it reduce stress, but also increase fitness and decrease fatness! When I run, I feel great and can eat whatever I want. Not so much when I don’t run.